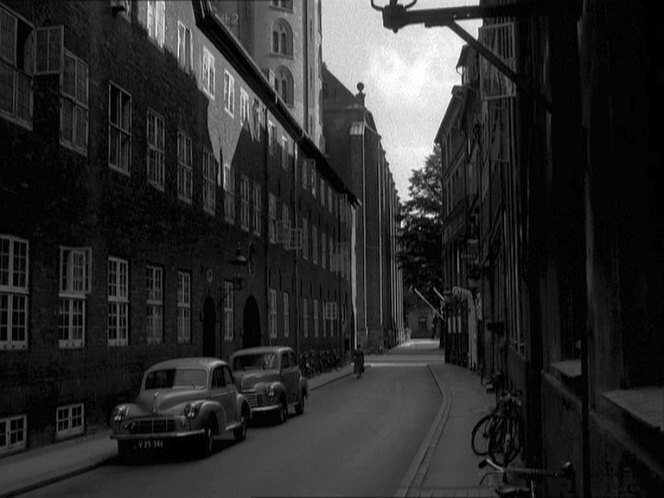 IMCDb.org: 1952 Morris Minor Series II in "Det var paa Rundetaarn, 1955"
1951 onwards painted grille. DK assembly by DOMI started very early but haven't found a definite date. DOMI had a big fire in 1951 with big rebuild and then steady Minor production from the new modern facilities, but seems there was some pre-fire build. OK, guess I misread your question as if you meant DOMI start date. That would be 1946. It's got a Series II bonnet motif, the horizontal barred grille did not appear until late in 1954. I do not think, therefore, that it's an MM.